A couple of years ago I was offered a trip to Finland. I took a deep breath, said goodbye to Dad, who greeted me with a ‘where to, this time?’ and off I went. It was a warm November day, and there I was, with four other people, waiting to board on a plane to Amsterdam, and then another one to Finland. It sounded like a magical place as I had not done any research prior to my departure. 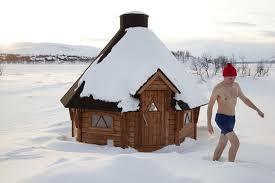 All I knew was that Santa Claus was based somewhere in Finland (I later found out it was Lapland) and that it was cold. Really cold. Finland was a 5 hour flight away from home and I vividly remember the clapping when the plane landed. Was it relief? Was it excitement, or fear? I could not know, as I was preoccupied with finishing my sandwich. With my travelling experience, I was a bit less than excited. Boy, was I wrong! As we walked out the airport, there they were, a massive crowd and what seemed to be the entire student body, eager to meet us. Thinking back, it was right there and then that I knew it was going to be something different. I was to be hosted by a family from Vantaa, a small municipality surrounding Helsinki. We landed at 4 in the afternoon and the sky had already turned pitch dark. Let me throw in a little context. I was in my last year of High School when I was selected to be part of a student exchange program. Destination: Finland. I was going to be there for a couple of weeks, during which a Finnish family would host me. I would attend the same school as their children, do the same things they did, basically, getting a sense of what it is to be one with a Finnish native. For the next two weeks, my life was to be but a mirroring of theirs. 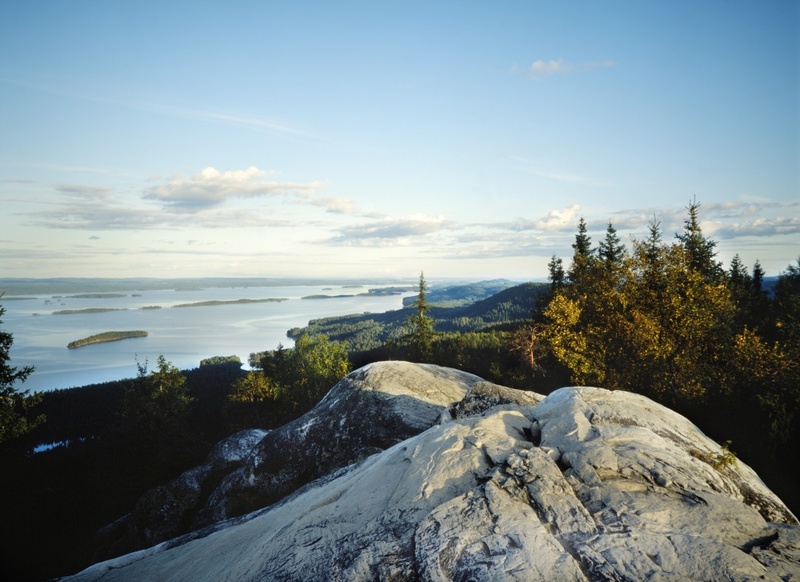 Finland is a beautiful Northern country, neighboring Sweden, Norway, Russia and Estonia, and so, the language is a mixture of these, with a dash of Hungarian. Yes, Hungarian. I met my host, Sini was her name, and when she started speaking I found myself in the middle of Budapest. It was a Hungarian-Russian sort of thing, which I could not decipher. Finns do know English, but to a smaller extent that other nations do. At the beginning of my stay, everyone was more than excited to be showing off with their English knowledge, but as time went by it, Sini was the only one putting some effort into it. My days went on like this. We would go to school, go out, hang out with her friends, and go back to the house. Normal, teenager stuff. The first morning I had to wake up and go to school was more than miserable. I would sleep in a bunk bed with Sini, who was a tall 18 years old blond with tons of travelling experience The school was a half an hour drive on the highway away, so the alarm went off at 6. The snoozing button was obsolete, anyway. I had been up since 5, when the rest of the family had woken up. Sini and I had breakfast, which was Nutella spread on a slice of bread and a cup o’ black tea. Okay, not so spectacular, I know, but if that is what she was having, then why not. We got ready for school, chatting nervously while choosing our outfits. I looked out the window: it was past 7 already, and there was no sign of the Sun. I figured it was almost winter so the Sun would make its grand entrance later on, at 8 tops. Yes, I must admit it was chilly, but not as cold as I’d expected even though it had heavily snowed overnight .We got in the car, drove to school, and somehow, the sky was getting even darker. School is different. Different from movies, books, anything you could imagine. I had my own classes to attend along with special courses for us, the foreigners, so seeing Sini only happened during lunchtime. Lunchtime happened at 12, only one hour after the Sun has risen. I did not know that dark would come in less than three hours. But I digress. Lunchtime. Cafeteria, the land of terror. I come from a country where school cafeterias are rare to nonexistent, so it was a bit of a shock to me to discover that everything I knew about cafeterias was partially true. Yes, people sat down according to their status quo, but that is only natural. The downsize was that all the foreigners were sat down at one long table in the middle of the cafeteria, so that everyone could gaze at us as if we had just been captured from our habitat and brought to a finish high school, where we were force-fed Nordic food. The thing that struck me, though, was the way people my age perceived school. From where I come from, school is a place of horror. You go because you have to. But no, that is not the way Finns do it. The Finnish Educational System is known to be the best in the world. So it goes to figure that students actually enjoy going to school every morning. They seem significantly more happy and relaxed. Come to think of it, ‘relax’ is the key word for describing the Finns. With no care at all, overall happy with their academic or professional life, they find time for the simple pleasures in life, they take the luxury to spend time with their family, at least in the evening, sitting down for a nice dinner and heading for a sauna. Because everything you heard about saunas is true. Most Finns have one in their backyard and they spare no occasion of using it. I went to saunas before, but I didn’t do it the Finn way. What you do is nothing more than a back and forth running from the hot steamy sauna to neck deep in snow and then back to the sauna. The whole thing lasts for 20 minutes or even more, if you have what it takes. I did not. I could only take it for 1 trip in the snow until tears came rushing down. Families are a big deal here. They are usually small, only immediate members included. This means that the relationships are more intimate, the amount of time you spend with your loved ones is substantially increased which leads to a better quality of life. Sini’s friends were a bunch of photographers and adventurers so I had a taste of their life. In our free time, they took me to abandoned buildings or parks, hidden lakes in the woods and tiny restaurants with amazing food. Things I would not have done, were I there on a family vacation. There was heavy partying, local music, obscure bars with fluorescent lights and blond Vikings. School time was school time. Vacation started at three in the afternoon, when it was already getting dark. On my second day, Sini confessedly told me she regretted I hadn’t come during Summertime. 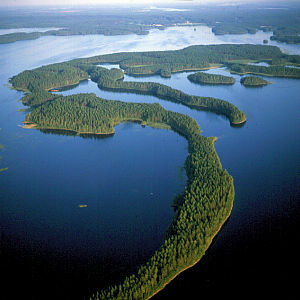 Anyway, there is this big event that celebrates the summer solstice, called juhannus, after John the Baptists, where people gather by the lakes or by the sea and throw enormous bonfire parties.. As you may already know, Finland is also called ‘ the Land of 10,000 Lakes’, most of Finland’s territory being covered with water . 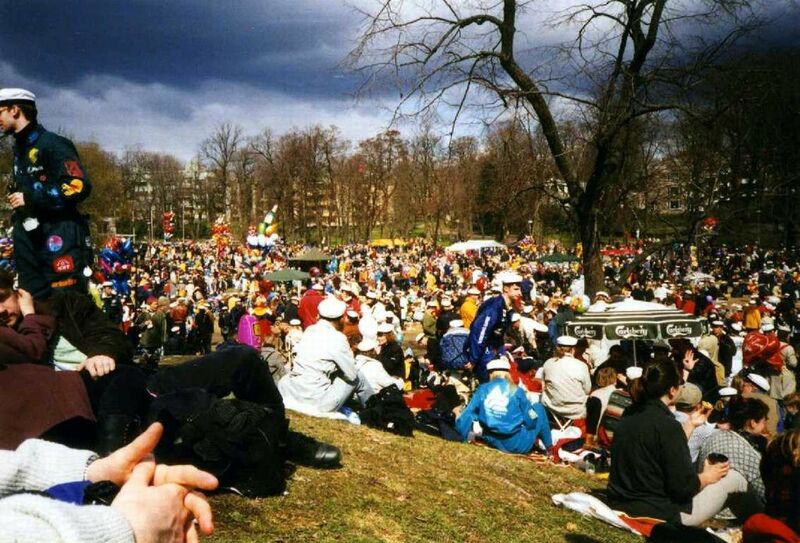 Many of the rituals got lost on the way, as this has been around since 1316, but Finns sure know how to have fun. Another huge things I had missed on, Sini told me, was Vappu, the Finnish native equivalent for Mardi Gras. This holiday celebrates the coming of Spring, after a long, harsh Winter. Vappu is one gigantic street festival, happening all over Finland, and it centers around the massive consumption of ‘sima’, a home-made low-alcohol beverage along with, of course, some stronger ones. Finns do enjoy a drink every now and then, mostly now, and they know how to party. Spending most of the year in pitch dark and knee high snow, once the Sun makes its appearance, it’s party time. The two weeks ended and my time there felt like an extension of my life back home. Sini and I remained good friends and the experience as a whole was amazing. 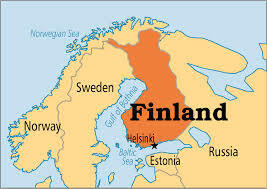 I never would have seen Finland the Finn way, was it not for Sini guiding me. She was there every step of the way, telling me what toppings to choose for my Finnish native sandwich and teaching me some basic Finn, mostly consisted of foul language. My advice to you is to seize any travelling opportunity. Couch surfing? Staying at some friends’? Student exchange? Even better. Always choose small hotels over elegant, fancy, hotels. There is a special bond that exists between people crashing at the same hostel. Venture the streets and make friends. As good as a traveler you may be, you will never know the insights. Only a native will give you a true, legit experience, one you cannot get out of a travelling app.